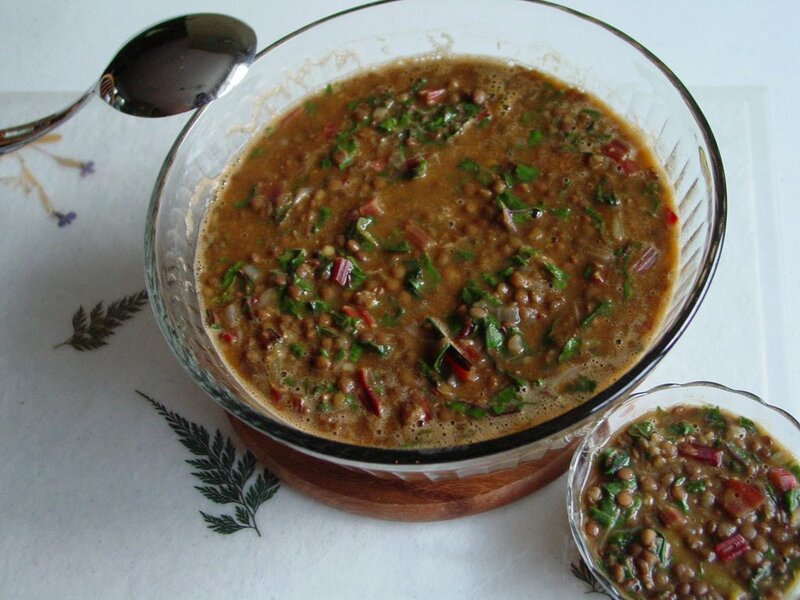 I make chard with dal too...it's delicious! "???? ??????? ???? ??????? ????????" !!!! Nabeela, this was the first time I cooked chard and I loved the flavor! I like masoor dal, too. It cooks fast and changes from pink to yellow when cooked. I will make it with dal the next time. This time I used whole masoor as I had just about 1 cup left and I wanted to finish it off! Medha going back to school is a bit of mixed emotions for me! We had a very busy summer and we really enjoyed doing things together. I also built up a huge backlog at work - so in a way, I'm relieved that I get uninterrupted stretches of time when I can plow through that! On the other hand, I miss the constant chatter and the incessant calls of "Mumma!" Tuhin, kharach mala vatatay ki I should wear a navwari sadi with a large nath in my nose and a large sindoor cha tikka! What are all the question marks for?! You have to tell me!! I hope you're doing well! Ganesh Chaturthi kashi vatli Australiath? Shilpa, I don't let it stop me! Not knowing what to do, that is! If it looks interesting, I buy it and then plague my friends with questions. My friend cooks a lot of greens - she once cooked dandelion leaves from her garden and I just loved them - and a quick call to her confirmed that chard is eaten stalks and all. Are you doing anything special for Ganesh Chaturthi? I'm going to make chavde (what you call mande) in a bit! I have never cooked with swiss chard before, should be interesting! Will try.. :) Thanks. Annita of 'My plearure and my treasure' has a recipe for swiss chard. I am alittle busy otherwise I would have linked it here. Those question marks were "Ganesh Chaturthi Chya Hardik Shubhecha" in Devnagri Script.. I guess blogspot doesnt support it. RP, thanks! I found the recipe on Annita's site and it's something I will try out the next time. Asha, thanks and same to you! Check out Annita's swiss chard thoran that RP recommends. Swiss chard comes with a white stalk, too. I bought the red one for the colors (the more colorful your meal, the healthier it is). 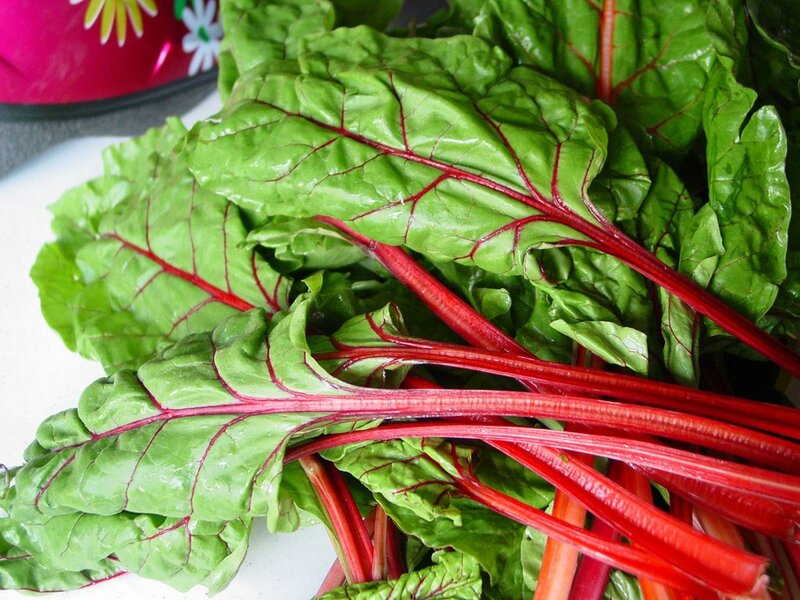 Whichever chard you buy and whichever recipe you follow, let me know what you thought of the leafy chard. Tuhin, thanks for the shubecha! Same to you! I can see the Devnag on other sites, say Maayboli Marathi Sangeet for instance. I think the Blogger comments module must have chewed up the Devnagri and spat out Q marks instead! Because changing the encoding of the page doesn't show the script. Dinner was very simple - no puris with the batatyachi bhaji or chutney or koshimbir or talele papad. But it was great and enjoyed by all! Is there a temple near where you are? They will probably have aarti and prasad for Ganesh Chaturthi at least once during this period. Bought the red chard from the market today after remembering the photo from this post! 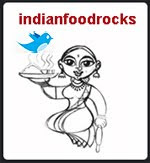 Have whole masoor, will cook tonight and let you know the results. thanks for the recipe! It turned out very nicely, Manisha. Less spicy than I had expected, but I resisted the urge to throw in some garam masala. And I'm glad I did, because the chard had its own subtle taste. Thank you! desiknitter, glad you liked the subtle flavors. Sometimes it's great to omit the chilli powder and go easy on the other spices and taste the food for what it is. A close friend of mine used to tell me how much he liked my cooking. He said it was wonderful and bland. He never understood why I was offended. Hey! I'm paying you a compliment, he would say. He was a Konkani and the food at his house used to be fiery at the very least. Also, this was made with Medha in mind so I went easy on all the spices. She picks the whole spices out of her plate, except for cinnamon. We crunch through the black peppercorn to get that extra zing. I recently stumbled on your blog and am now hooked! . I love ‘pathal bhajis' and this looks so delicious! Also, love the fact that this is so healthy. I have never cooked or eaten chard before but now that I have this recipe will give it a shot. Thanks! Sneha, welcome! This was my first encounter with chard, too. You could up the spice if you want but it's a toss up between tasting the flavors of the chard and getting that additional kick. So let me know what you did and how it tasted.